The dangerous effect between smoking and cholesterol has been known for many years and the association between smoking and cholesterol is well documented in the research literature. 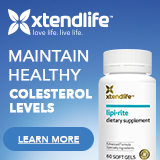 For example Shang Y, in 1992, found that smoking reduced HDL cholesterol, the good cholesterol, while it increased the LDL cholesterol and triglyceride cholesterol - that is the bad cholesterol. Smoking and cholesterol - effect 1: The more smoking you did, the worse the effect on cholesterol. Smoking and cholesterol - effect 2: The longer you take smoking, the worse the effect on cholesterol. Smoking and cholesterol - effect 3: The deeper you inhaled during smoking, the worse the effect on cholesterol. Smoking and cholesterol - effect 4: Passive smoking is breathing the air that smokers are smoking in, even though you are not smoking. People in this situation are referred to as passive smokers and they also suffer a marked deterioration in their blood cholesterol condition - equivalent of them being a light smoker. Smoking and cholesterol - effect 5: How bad does smoking affect cholesterol? The relative risk of the two factors were estimated to be 1.09-5.77 and 2.37-3.57 respectively. Which indicates that smoking affects cholesterol quite markedly. Certainly, smoking and high cholesterol could be considered a very dangerous combination. Smoking and cholesterol - effect 6: Smoking, by it's effect on cholesterol, causes 20% of all deaths from heart disease. Smoking does not appear to permanently affect cholesterol levels, so once you stop smoking, the smoking effect on cholesterol will go in a few weeks or months. Want to know more on the passive smoking risks? Your spouse may be killing you! 16,000 healthy women and men in the USA were studied for 9 years, and Glymour and her associates found that if you did NOT smoke, but your spouse DID smoke, then you had a 42% increase in your chance of having a stroke. If you are a former smoker, living with a smoker now, you experience a 72% increase in your risk of stroke, when compared to former smokers living with non smokers now. Further, according to JAMA, around 53,000 non-smokers die each year in the U.S. as a result of passive smoking. Obviously, if you are unwell in some way, such as already suffering from high cholesterol, then being a passive smoker - breathing in some one elses smoke - could be extremely dangerous to you. If you do suffer from high choleserol, and your spouse insists on smoking close enough to you to make you a passive smoker, then you really also need to decide if remaining with that person is really worth the risk to your life. If you smoke, you are damaging your cholesterol levels, and not only are you placing yourself at risk of stroke and cardiovascular damage etc, but you are placing anyone who breathes your smoke at great risk as well.